Craft Beer of the Week: Dragon's Milk | Grand Central Magazine | Your Campus. Your Story. Traditionally, beer has never been known to have the mellow burning aftertaste typically found in hard liquors, but since when has a craft beer been traditional? This week’s craft beer is not for the unseasoned beer connoisseur as it will surely set any drinker’s taste buds ablaze. 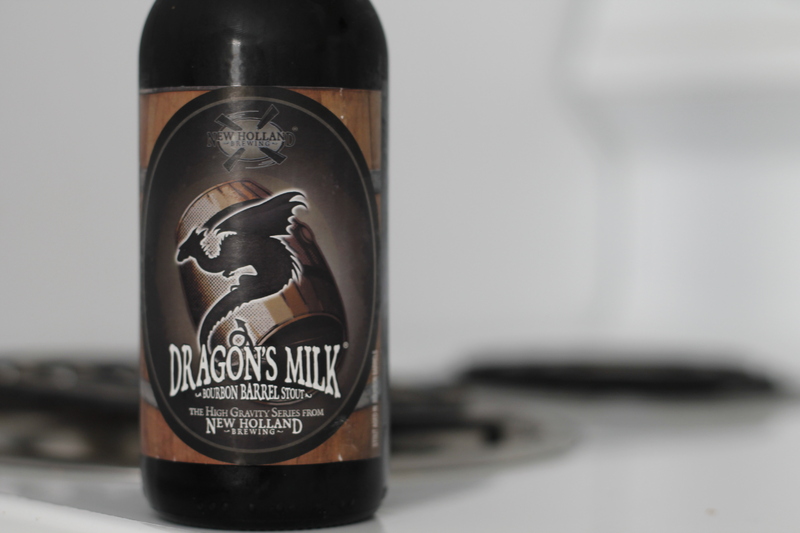 Dragon’s Milk, crafted by New Holland Brewing, is a fiery bourbon barrel stout with a powerful 11 percent alcohol volume content, making this a brew meant to be enjoyed modestly and in moderation. The intense aroma of bourbon and dark chocolate malts emanate out of the bottle the moment is it cracked open. Its powerful aroma lets the drinker know they may be about to experience the most intense beverage they ever have. Surpassing its smell, every sip is loaded with enough of the smoky burning flavor of hops and bourbon to ensure every bottle is enjoyed. Ignoring the after taste of bourbon, the beer has a delectable and robust flavor worth trying out, even if you can only handle one bottle. Separator image Posted in Drinks, Drinks and tagged with beer, craft beer, craft beer of the week, dragon's milk, Nathan Clark, New Holland Brewing.